In roofing, there are many options to choose from when you need to upgrade and improve your roof. Most options require the installation of a new roof and once your building has two roofs on it, building codes require that you must tear off your existing roofs’ and start new. White roof coating systems allow you to restore your existing roof without ever needing to complete a tear-off because they do not fall in the same weight barring category as other roofing options such as single-plies, asphalt, metal, etc... Choosing a white roof coating system saves thousands of dollars, time, and avoids adding to already overfilled landfills. Applying a white roof coating to your existing building has multiple benefits derived from their superior capabilities to protect your roof and reflect heat away from your building. These benefits include but are not limited to increased roof lifespan, provide cost effective solutions, energy savings and efficiency, lowered roof maintenance costs, and these systems are environmentally friendly. White roof coatings have come a long way since they were first introduced into the roofing market. Today, they are able to restore virtually any roofing substrate, such as, Asphalt, BUR, Mod Bit, single-plies including: TPO, EPDM, PVC and Hypalon, Spray Polyurethane Foam (SPF), Metal and Concrete roofing substrates. How does a White Roof Coating Protect Your Roof? White roof coating systems protect your roof by adding layers of waterproofing, durability, flexibility and renewability to your roof. 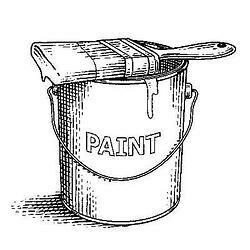 Most roof coating systems comprise of a base coat, embedded fabric for extra reinforcement, another base coat, and a white roof coating as the top coat. The white roof coating reflects the majority of the heat from the sun, minimizing the bulk of the heat from being absorbed into the building. This protects the roof by keeping the membrane flexible and less able to dry out and become brittle, protecting your roof from cracks, alligatoring, splitting and/or tearing from occurring. It is extremely important that a roof is able to remain durable and flexible with changes in weather and temperature as the roof will expand and contract during these fluctuations. White roof coating systems can be renewed every 10 plus years for enhanced protection and lengthened roof life. These systems can allow you to avoid a costly tear-off, saving you a lot of time and money while keeping your business open as usual during application. Ask us how you can benefit from one of these cost saving systems! How does Reflection Benefit you when using a White Roof Coating? As described above, white roof coatings reflect heat away from the building, absorbing only a small percentage. This allows you to cut down on energy consumption and air conditioning usage. Energy utility bills can be very large for many companies, using a white roof coating can solve your roofing issues and lower your largest utility bill at the same time. Jerry Moore, the Facilities Director at Harbor Freight Tools noted, “After the National Coatings' Cool Roof was installed we definitely noticed a difference in building temperature. It's not a marginal difference, either. It is between 15-20 degrees cooler inside the warehouse and store." Harbor Freight was able to save and restore their roof without closing down their business or operations during installation, they lowered their energy consumption and energy costs, and they gained a cooler work environment. 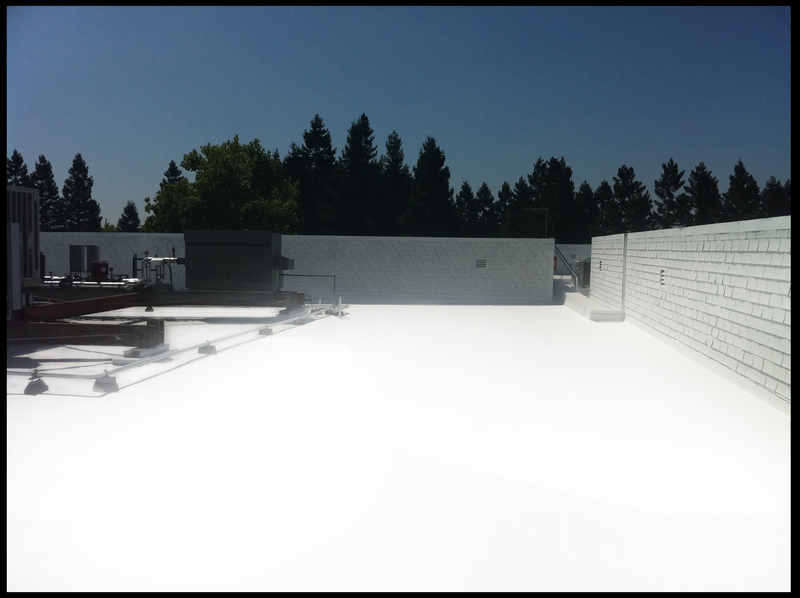 White roof coatings are quick and easy to install and provide little to no disruption to your work environment during construction. With all the “freebies” that come with a brand new white roof coating system, its no wonder these roofing systems are becoming so popular. 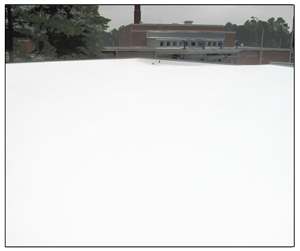 Interested in more information on our white roof coating systems? Download our FREE Product Brochure or contact a roofing professional for more help!